Have you considered hiring a professional cleaning service to do all the cleaning in your home? Or, you may have decided to do the cleaning yourself to save a few bucks in the process. Cleaning a home is not the easiest thing out there. There are many things that you need to take into consideration when cleaning your home. The right type of cleaning will help improve the hygiene of your home and enhance the health and well-being of your family too. 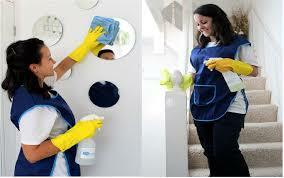 There are many benefits of hiring a professional cleaning service for this purpose. Expertise – Professional cleaning services have trained staff who are well-trained to clean, dust, and sanitise the space in your home. Since they are dedicated to the job, they can do a much better service compared to you trying to do it yourself. On the other hand, most of these employees are passionate about what they do. Hence, they will do a much better job than what you do. In fact, the average homeowner is not passionate about cleaning his/her home. They do it because they have to do it. That’s why you need to employ a professional cleaning service to dust, clean, and sanitise your home. Saves Time – Cleaning a home is not the easiest of housekeeping tasks out there. It takes a lot of your valuable time that you could have spent on something more useful. That’s where a professional cleaning service comes in handy. You can hire the right cleaning service to do the home cleaning for you and do something more important during such time. Time-saving is another important benefit of hiring a professional cleaning service to clean your home.